The Homeopathy School’s philosophy recognizes the connection of body, mind, psyche and spirit as well as the extraordinary effects of homeopathic medicine. Programs address psychological and physical aspects of healing in the pursuit of restoring a state of well-being and health. The school’s curriculum is designed to stimulate creative learning and to support personal and professional growth. Courses provide flexibility and practical hands-on learning. 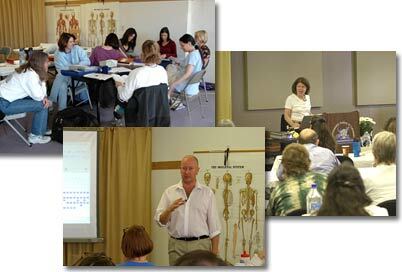 Activities include lectures, interactive exercises, supervised independent study and clinical work. As a non-profit organization, the school strives to offer a challenging learning experience while contributing to the community through the healing power of homeopathy. In 1991, the Classical Homeopathy Certificate Program was established as a branch of the Massage Therapy Institute of Colorado (USA). The original program, founded by Mark Manton and Barbara Seideneck, was approved by the State of Colorado and enrolled twenty-three students at the Denver, Colorado site. This program, one of the first modern homeopathy trainings offered in the United States, soon expanded from a one-year to a three-year training. Further development and expansion led to establishing the school as an independent institution. By September 1995 the school earned its non-profit status 501(C3). 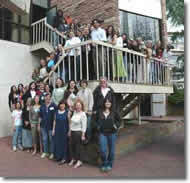 In 1996 the school moved to Boulder, Colorado, at the foot of the gorgeous Rocky Mountains. The school’s Distance Education Program was established in 2002 in response to a growing demand for the availability of homeopathic education outside of Boulder, Colorado. Nationally and internationally recognized for excellence in homeopathic education, the Homeopathy School International (HSI) now offers study options to students worldwide.The school has graduated professional homeopaths since 1992. As of April 2017, HSI was the first Distance Education Program to be accredited by the Accreditation Commission for Homeopathic Education in North America (ACHENA). The school’s advisory council provides recommendations for the continuing improvement and enrichment of the school’s educational programs. The council meets annually and includes homeopathic practitioners, students, alumni, and community members representing alternative healing modalities. HSI supports all efforts to unify standards for homeopathic education and certification formulated by the Council for Homeopathic Certification, the International Council for Classical Homeopathy, the Accreditation Commission for Homeopathic Education in North America, the North American Network of Homeopathic Educators, and the North American of Society of Homeopaths.